New York is back in the high life — with a new generation of towers more than 800 feet tall expected to crowd the skyline in the next few years. Why so many new skyscrapers? Demand, for one — foreign buyers in particular are eager to snap up a spot in Manhattan. And modern businesses are looking to new office towers for the latest in energy efficiency, Internet access and style. But one of the biggest changes is technological. Structural advances mean ulta-thin towers higher than the Empire State Building (1,250 feet at roof, 1,454 feet at spire) can be built on spaces one-half acre or even smaller. While the Midtown East re-zoning awaits additional tweaking and ultimate passage, plans are already proceeding for SL Green’s new tower at One Vanderbilt, which will be built under a special permit. Kohn Pedersen Fox is designing the 67-story building, and the project’s draft environmental impact statement contains tentative new specifics regarding its total size. Per illustrations, One Vanderbilt’s rooftop will measure 1,350 feet, while its ultimate pinnacle looks to stand approximately 1,450′ above 42nd Street; the latter number would place the building as the second tallest structure in New York City, behind One World Trade Center. Pending adjustments, an additional foot would put the skyscraper ahead of Chicago’s Willis Tower, making it the second-tallest building in the Western Hemisphere. The structure’s roof height of 1,350′ will be slightly less significant, ranking below three of the 57th Street supertalls, as well as One and Two World Trade Center. Nevertheless, the building will become a neighborhood landmark, looming over the much-bemoaned MetLife tower. Unlike its monolithic neighbor, One Vanderbilt’s upper floors will be characterized by a series of setbacks, and the parapet recalls pre-war Manhattan, when the city was dominated by spires. On lower levels, the tower’s plan includes both restaurants and retail space; SL Green will also dramatically improve conditions on Vanderbilt Avenue, which will soon become a pedestrian gateway into the revitalized Midtown East. KPF’s latest icon will also have direct subway access. In terms of specifics, One Vanderbilt will have 1.079 million square feet of office space, 246,000 square feet reserved for trading floors, 53,000 square feet of retail, 27,000 square feet for restaurants, and 55,000 square feet dedicated to rooftop amenities, including an observation deck. The development’s total scope includes another 343,500 square feet of unusable space, for a total volume of 1.8 million square feet, and an FAR of 30. The potential deck at One Vanderbilt would offer a new perspective on the skyline to the general public, given the site’s distance from both the Top of the Rock and the Empire State Building’s 102nd floor. Including such a feature will further enhance the tower’s potentially iconic status. 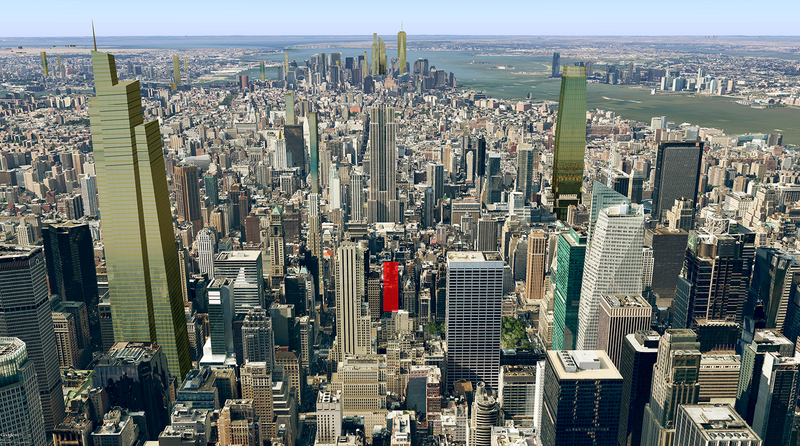 As Midtown’s built environment finally catches up with 21st-century demands, One Vanderbilt will likely be joined by other ‘supertall’ buildings. Demand for new development in the surrounding neighborhood is extreme, and given the prices people are willing to pay for premium office and residential space, future structures will likely push even taller, especially if the re-zoning allows for significant residential density. De Blasio’s push for more affordable housing must come with a similar thrust to reduce constraints on market-rate development, which is the housing most New Yorkers inhabit. In its current state, ‘affordable housing’ is a misnomer, and securing such a unit is like winning the lottery; 50,000 New Yorkers applied for 124 apartments at one such development in Harlem. Adding the potential for significant residential development to the Midtown East re-zoning would create new living options for the neighborhood’s office workers, while also transforming the area from a relatively sterile business district into a thriving hub where people can both live and work. Plans for One Vanderbilt are proceeding without thought for this potential, though the KPF-designed building will still enhance the pedestrian sphere and the skyline, maximizing its built envelope. No formal completion date has been announced — and the site’s existing structures must still be demolished – but given the recent news that SL Green is in talks with TD Bank as a potential anchor tenant, a 2020 completion date would appear feasible. Three new staircases to the subway platforms, two new street-level entrances and a refurbished mezzanine level, including the opening up a series of enclosed spaces to create new hallways, plus a 4,000-square-foot ground-level “waiting area” for commuters: All that and more is being promised by developer SL Green as part of its planned five-year, $210 million effort to give Grand Central’s subway station a significant upgrade. 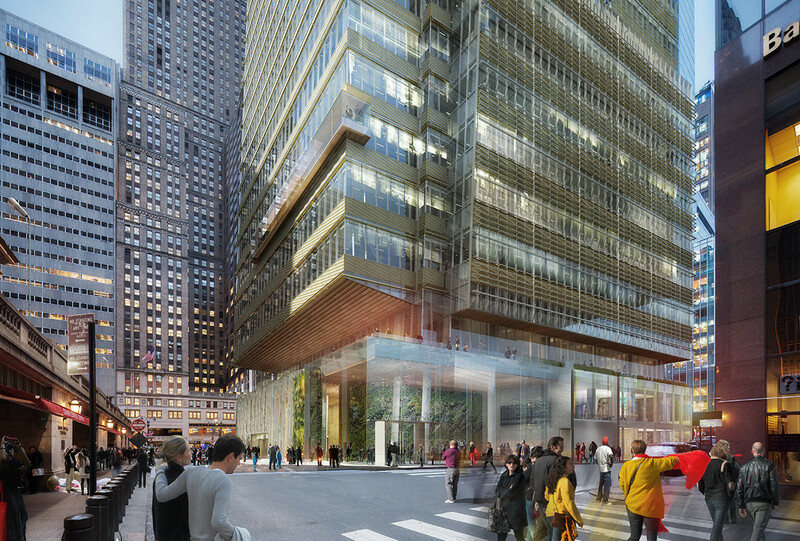 What’s more, all of that must be completed before tenants will be allowed to occupy the developer’s new 1 Vanderbilt, the 65-story office tower planned for an entire city block just west of Grand Central, north of East 42nd Street. The transit improvements were hammered out with the Metropolitan Transportation Authority and the de Blasio administration earlier this year as the first piece in the massive midtown east rezoning project. SL Green gave reporters a tour of the existing subway station Monday as a way to highlight the improvements the developer plans to begin making as soon as the city signs off on the project. Before that can happen, the plan for the developer’s new spire must go through the city’s labyrinthine land-use process, or ULURP, which will last from September 2014 to March 2015. Demolition of buildings on the tower’s site will last until the second quarter of 2016, and excavations and the laying of the foundation is expected to end by 2017. After the land-use review process is over, SL Green plans to begin construction on both 1 Vanderbilt and the transit improvements concurrently. But the bottom line for the developer is that everything will need to be completed—all the staircases, hallways, new turnstiles and mezzanine improvements—before any tenants will be allowed to occupy their new building in January 2020, the expected completion date. Yimby, regarding that $400million deal which has been proposed by company to buy the site, do you know if the 1,395ft height is to the roof? Also, with them already having a design, they’re obviously not messing about with already having an architect I presume… I wonder how long this deal has been in the plans for? Of the $210 million that developer SL Green Realty Corp. vows to spend improving Grand Central’s subway station, more than 75% will go toward the Lexington Avenue line, which is the most congested in New York City, according to a presentation to transit advocates and community board members this week. 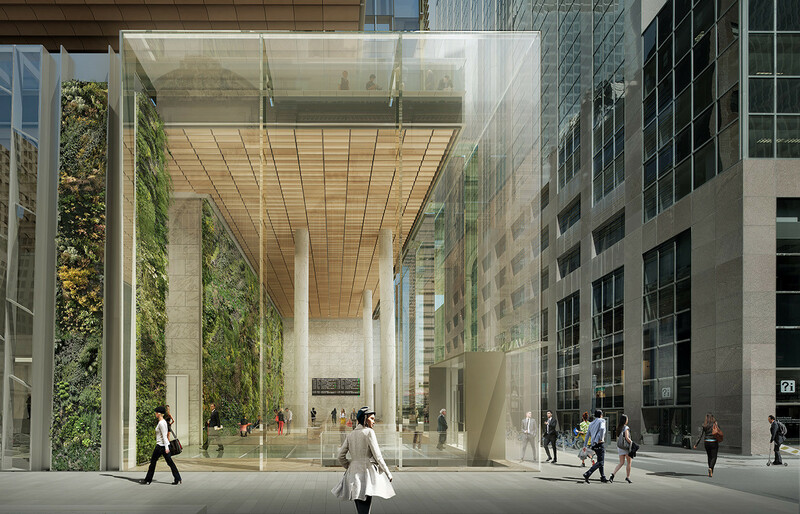 The 63-page report is the first public accounting of how SL Green will spend the money it has promised to upgrade Grand Central as part of a deal to construct a 65-story office tower adjacent to the transit hub. It was delivered to Manhattan’s Community Board 5 on Tuesday, as well as to transportation advocates who have called for the midtown east rezoning plan to include major transit improvements to accommodate the expected influx of new office workers after the rezoning. The transit improvements were hammered out with the Metropolitan Transportation Authority and the de Blasio administration earlier this year as the first piece in the massive rezoning. The plan for the developer’s new spire, called 1 Vanderbilt, must go through the city’s labyrinthine land-use process known as ULURP, which began last month and will run to March 2015. Demolition of buildings on the tower site will conclude in the second quarter of 2016, and excavation and the laying of the foundation are expected to finish by 2017. 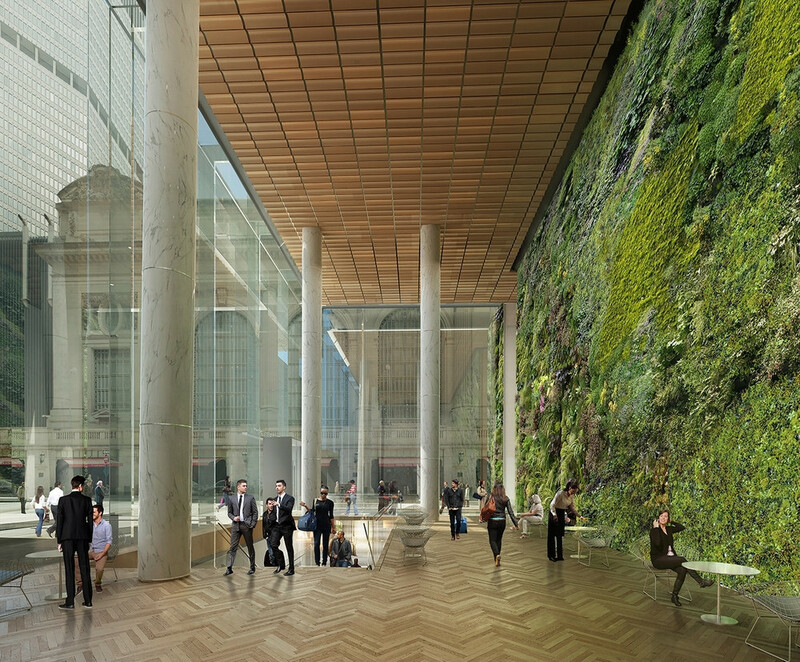 One Vanderbilt’s slog through the Department of City Planning’s review process is now getting underway, and with progress comes refinement. 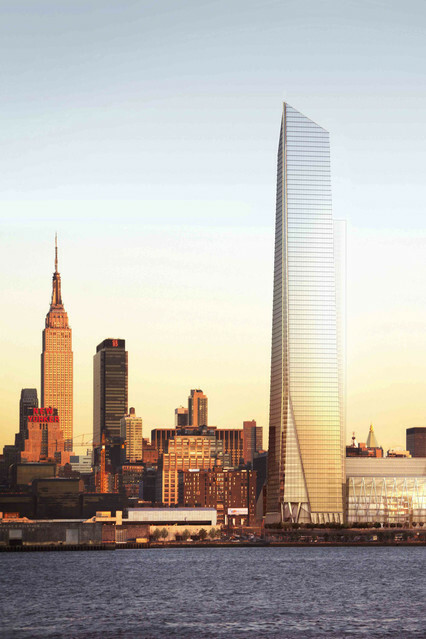 The building has received a height boost, and early documents indicating an approximate pinnacle of 1,450 feet has given way to a slightly taller tower that will rise 1,514 feet. Both 217 West 57th Street and now One Vanderbilt are set to rise even taller than 432 Park, threatening to make Viñoly’s time at the top of Midtown very short indeed. More surprisingly, all three towers will have roof heights above One World Trade Center, which — for now – seems likely to retain its tenuous grip on the CTBUH-designated title of Manhattan’s tallest building. Just keeps getting better. I have the feeling that this will not be the only height bump. This seems to be going the way of Nordstrom where the developers keep pushing the limits of what they can build. If the economics hold up, and with a little bit of luck, this could possibly turn out to be the tallest in the city. 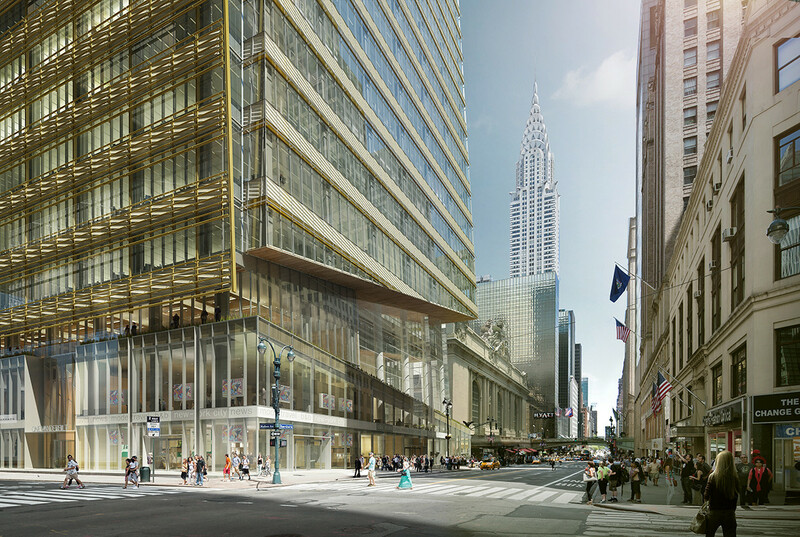 TD Bank has signed a lease to take 200,000 square feet of office and retail at One Vanderbilt Ave., SL Green announced Monday, giving a big boost to the landlord’s proposed 1.6 million square-foot building that is to soar 1,500 feet to the top of its spire. The bank—headquartered in Toronto—currently has a number of offices in different Manhattan locations, and has been mulling a move and expansion in the city for months. The company plans to use the tower to consolidate offices into a regional headquarters that “will offer an outstanding experience and great brand visibility for our employees and our customers,” Christopher Giamo, regional president for TD Bank’s Metro New York market, said in a press release. Of course, SL Green has some hurdles to clear before it can build. The city is currently rezoning the block owned by SL Green to allow for the tower, an action that is opposed by the owner of air rights over Grand Central, but generally supported by local officials. Also, the developer hasn’t said how it plans to finance the building, and it’s unclear if it would be able to move ahead with only the TD Bank commitment. 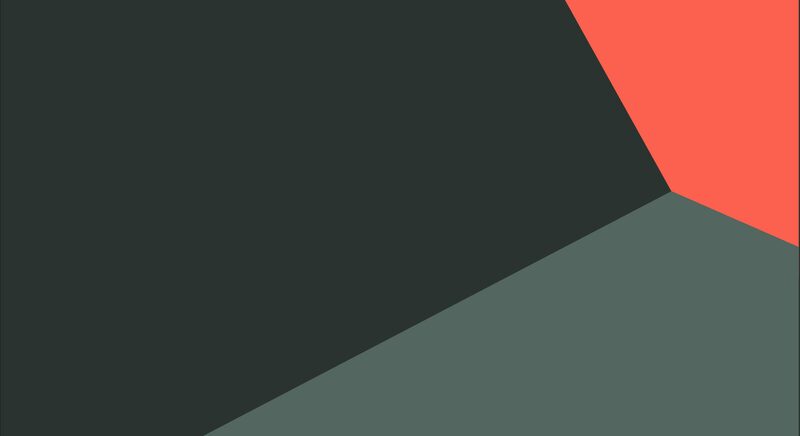 Many developers wait until 25% to 50% of a property is leased before moving ahead. SL Green said it intends to complete the tower by 2020. NEW YORK—Real-estate developers are piling into the nation’s largest office market at the fastest rate in at least two decades despite sluggish demand for space, a gamble that tenants will favor gleaming new skyscrapers over the hundreds already dotting the New York skyline. Landlords including Related Cos., World Trade Center developer Larry Silverstein and Brookfield Property Partners LP are pushing ahead with big projects, including three office buildings roughly the size of the Empire State Building and a midtown tower set to rise 264 feet taller than the 1931-built icon. In all, more than 14.1 million square feet of office space is projected to be built in Manhattan by 2019, according to research firm CoStar Group Inc., the most over a five-year period since at least the early 1990s. But demand is slack. Occupancy of Manhattan office space increased by 4.8 million square feet in the four years ended in September, according to CoStar, compared with the 28 million square feet gain in the four years ended in 2007, the last major expansion in the Manhattan office market. Vacancy stood at 8.1% at the end of the third quarter, compared with 5.4% in 2007. The potential gap between supply and demand raises concerns about overbuilding, analysts said. Few believe the market will be overwhelmed by a glut of space. But if the economy sours and job growth dries up, the developers and their investors could be forced to cut asking rents or be left with mostly empty buildings. “If we lose the demand driver, then they’ve got a problem,” said Walter Page, director of office research at CoStar. Construction is booming in a handful of other U.S. markets as well, particularly those tied to the energy and technology sectors. In California, the Silicon Valley and San Francisco areas have a large set of new towers and office parks under way. Growth in the energy sector has led cranes to pop up throughout Houston. 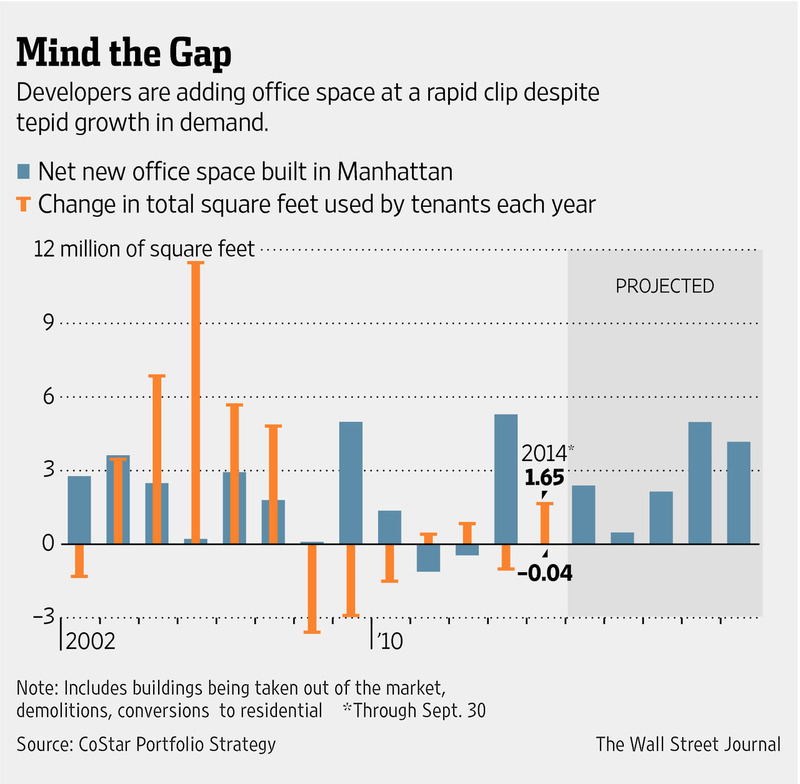 But those regions also have stronger growth in office occupancy than New York is seeing. Houston’s occupancy has jumped by more than 5 million square feet just since the start of the year, while occupancy in the San Francisco area—a market 30% the size of Manhattan—grew by 2.4 million square feet in the same period. Manhattan, meanwhile, is seeing relatively slow growth in occupancy this year, 2.6 million square feet through the third quarter, continuing a yearslong trend as the biggest banks continue to shrink. While the financial sector in the past has filled up new towers, developers today are counting on media, advertising and technology firms. Manhattan Community Boards 5 and 6 have introduced a new dimension to the boards’ supposedly “advisory” role involving land-use issues: they’re trying to redesign a proposed new 67-story office building. Last week, the boards rejected SL Green’s plan to put up One Vanderbilt, which is now wending its way through the city’s seven-month Uniform Land Use Review Procedure, which began on Nov. 17. Their objections? They want for some reason to move the 1.3 million-square-foot skyscraper’s public lobby — in effect, a new entrance hall for Grand Central Terminal next door — from its presently planned site on Vanderbilt Avenue at East 43rd Street to Madison Avenue and 43rd. And they insist that the tower, which has been designed to receive LEED “gold” environmental certification, be upgraded to “platinum” — an issue that’s far outside the boards’ purview. It’s also absurd given that to make such a change would require re-engineering much of the project. The boards apparently regard a $1 billion project that was years in planning as a Lego toy where blocks can be moved around without cost or consequence. The boards’ demands are recommendations only. 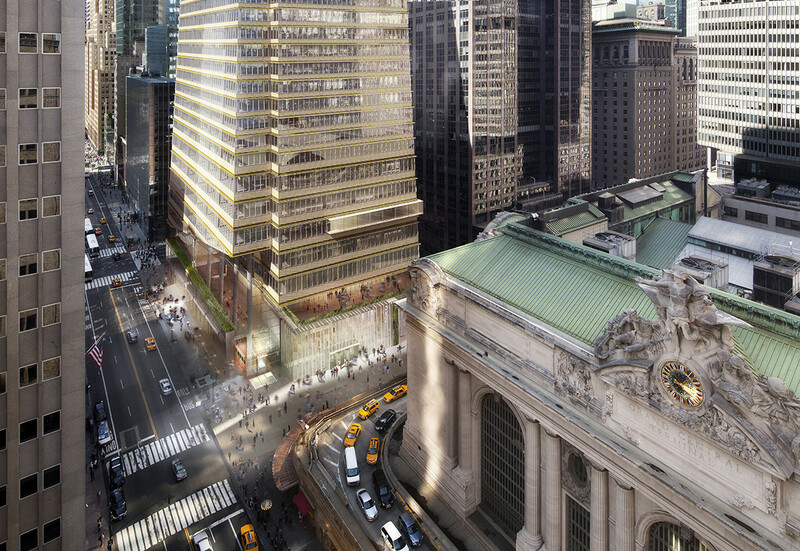 One Vanderbilt enjoys preliminary support from the city Planning Dept. and Mayor de Blasio. It’s enthusiastically backed by the Real Estate Board of New York, every local business and civic organization and various labor unions. It’s also been tentatively (although not yet conclusively) blessed by Councilmember Dan Garodnick (D-Manhattan), who represents the district and whose support is indispensable. It was Garodnick who held up former Mayor Michael Bloomberg’s effort to rezone all of East Midtown in the last year of his term. Vanderbilt Avenue in exchange for $210 million worth of transportation upgrades to the area. Getting the building approved has been no easy task, what with community boards and neighbors being how they are, so last night’s panel brought together One Vanderbilt’s owner and designer as well as more community-focused representatives to duke it out over whether the tower’s girth will be worth it in light of its other benefits to the neighborhood.